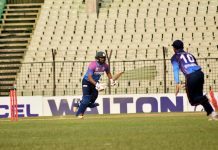 The in-from Prime Bank Cricket Club side maintained their winning streak in the Walton Dhaka Premier Division League 2018-19 in round 7 with a 5-wicket victory in a high-scoring encounter against Brothers Union at Sher-e-Bangla National Cricket Stadium (SBNCS). Uttara Sporting Club defeating Mohammedan Sporting Club by 7 wickets while the other match between Bangladesh Krira Shikkha Protisthan (BKSP) and Shinepukur Cricket Club has been tied. Batting first, Brothers posted a mammoth total of 330 for 2 thanks to Fazle Rabbi’s unbeaten 149 and Mizanur Rahman’s 100. Yasir Ali chipped in with a quick-fire unbeaten 61 to power Brothers posting a big total. In reply, Prime Bank chased down the target in 48.5 overs with 5 wickets remaining as Easwaran, Kapali and Anamul struck fifties to guide them to victory. Sajedul claimed 3 wickets for 70. At Khan Shaheb Osman Ali Stadium, Narayanganj, BKSP managed to post 222 for 8 after batting first. 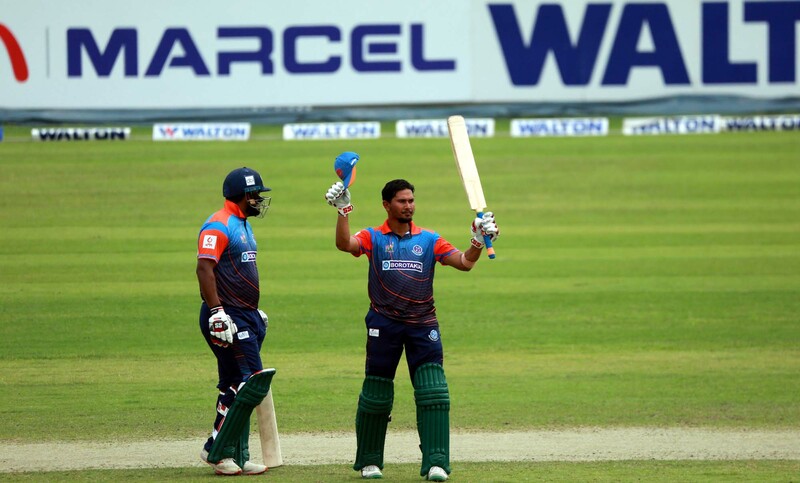 In response despite Unmukt Chand’s 74, Shinepukur also ended their innings on 222 for 9 and tied the match. Uttara beat Mohammedan easily by 7 wickets on the other match of the day as they chased down the target of 194 inside 40 overs thanks to Tanzid’s unbeaten century. Result : Prime Bank Cricket Club won by 5 wickets. Result : Uttara Sporting Club won by 7 wickets.